"Generate your virtual life and see how your household and country score against other countries around the world. Try to get to the next level until you've used up all your jokers." 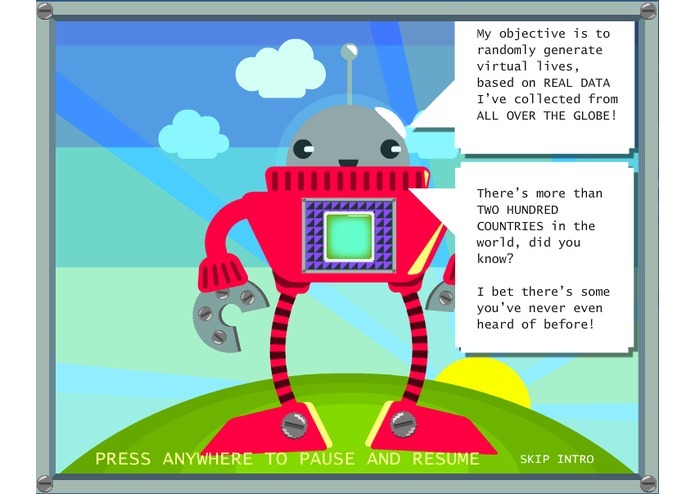 We wanted to see if it was possible to translate the information from the World Bank datasets into a playable game. We wanted to create awareness of different countries and communicate the goals of the Millennium Development Project, while also keeping it accessible for children, encouraging them to play and learn at the same time. As well as being a social gaming in the truest sense, it also offers an alternative perspective of the wider world compared to the giant newsgroups we have become so familiar with. 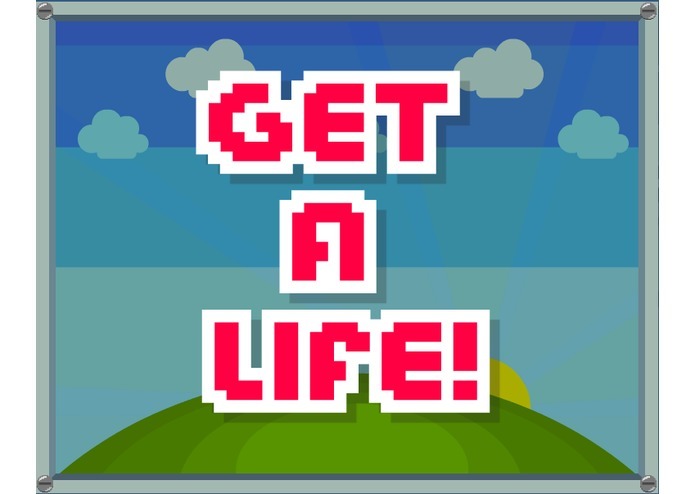 Get A Life offers a snapshot into the life of somebody, somewhere, whose story is still in progress. You can play the game and challenge your friends on our website and it will be available on Facebook soon. This project was developed specifically for the "Apps for Development" competition. While playing Get a Life, you can monitor up to 52 indicators for your selected country.They are sorted into the following categories: Public expenditures, Labor Forces, Education, Health, Infrastructure, Economic Policy and Environment. Your character's development will be calculated based on more than 60 demographical indicators divided by gender. 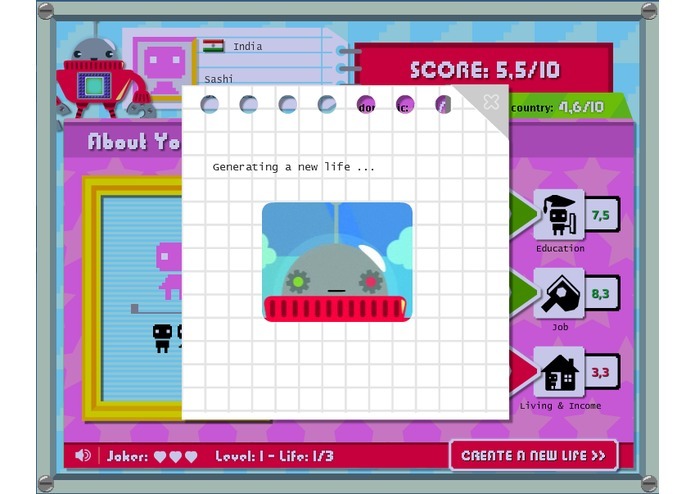 Playing Get a Life is an entertaining way to access the World Bank Data!